We’re two weeks into the new year, and if you’re like many people, you’ve likely thought of changes you’d like to make in your life to do better in the year ahead. As a pet owner, maybe you’ve even thought of ways that you can enhance and enrich your pet’s life. If so, one of the best commitments you can make for your pet, (and one in which you’ll reap the benefits, too!) is exercise. Here are a few reasons why this is so important! With pet obesity having its own “day” named after it, we know that we should direct attention to the cause of the problem. By committing to a plan of daily exercise, you’ll help keep your pet’s weight at an appropriate level. At your pet’s next preventive care exam, ask us which type of activities will be best for your pet, based on age, breed and overall health conditions. Exercise may look different for each pet - for example, it’s pretty simple to put a leash on your dog and head outside around the block a few times. For our feline friends, having plenty of toys around, or even a laser light for then to chase may be a perfect way to take in some exercise. For those of us who share our home with a pocket pet, bird or other exotic species, there are very specific exercise regimens that will be of benefit - we can help you with activities appropriate for your pet's needs. When exercising, especially when venturing outside, there are plenty of opportunities for your pet to enrich his mind right in addition to the physical benefits to his or her body. With the potential for socialization with the other dogs on the stroll, plenty of critters to see (squirrels, birds, rabbits), and the abundance of new smells and sounds, your dog will benefit from a good deal of mental stimulation. This helps to burn mental energy, leaving less time for separation anxiety and the destructive behaviors that may coincide with it. For cats, providing them opportunities to forage for their food makes meal time an enriching activity. Hunting feeders keep your cat physically active, while also meeting the need to hunt and prey. This leads both to a slimmer and better behaved feline companion! Just as in people, frequent exercise helps reduce the risks of diabetes, high blood pressure, diseases of the heart and kidneys, cancers, and respiratory conditions. Meanwhile, daily walks and exercise help keep your pet agile and limber. Even a twenty-thirty minute jaunt has health benefits which will ward off premature aging by helping to develop an overall state of fitness and wellness. As you do venture out of doors, keep an eye on your pet to monitor them for tiring or signs of discomfort, particularly in our cold January temperatures. Additionally, if your pet has any medical conditions, you’ll want to modify an exercise routine specifically to your pet’s health needs and limitations. Of course the health benefits to your pet are important, but one of the most important rewards of exercise with your pet is the time you’ll share together. Not only do you help build your pet’s confidence and enhance the bond you share in spending time with them, but this time will contribute to BOTH of you in emotional and psychological ways. We hope you have a fabulous start to your new year, and that it is one of health and wellness for both of you! Please don’t hesitate to contact Cedar Pet Clinic Lake Elmo if you have additional questions about your pet's behavior or health. “5 Reasons Why Your Pet Should Be Your Workout Buddy.” Pet Health Network, www.pethealthnetwork.com/dog-health/dog-checkups-preventive-care/5-reasons-why-your-pet-should-be-your-workout-buddy. Written on 23 December 2018 . Have you recently made a commitment to decide to adopt a pet? Or have you already brought your pet into your home and are wondering how you can be the best pet parent you can be for your new companion? In this article, we’ll offer some tips on how to ease the transition of your pet into your home as well as get him or her started onto a healthy journey, maximizing the time that will be spent with you! Tip #1: Prepare your home. This sounds simple, but in reality, you really need to view every item in your home from the height of your pet. Perhaps furniture items that you never give a second glance to harbor curious extra sniffs, tugs or even chewing. Consider what you are leaving out in your pet’s reach and remember that he or she really doesn’t know the difference between a $10 pair of shoes or a $350 pair of shoes. As an alternative, have several pet-safe toys in the area your pet will be occupying. Clear away anything else that you don’t want to have innocently damaged. Secure an appropriate crate, food and water bowls, and check for pet licensing requirements where you live. Tip #2: Schedule your pet’s veterinary visit. Preventive care is the key to your pet’s overall health. Vaccinating against disease, such as lyme, leptospirosis, Bordetella (kennel cough), and implementing other preventive measures to protect against heartworm, or tick-borne illnesses, help to not only keep your pet healthy and parasite free, but your family members, as well! On your pet’s first visit, we’ll help to set up a vaccination schedule and help you know what you might expect at the various stages of your new friend’s life. Tip #3: Start with a dental regimen right way. Much like preventive care that we discussed in tip #2, proper care of your pet's teeth will also help to contribute to his or her overall health. We can help show you how to brush your pet's teeth, but you can also check out the video below! It's important to begin this routine early on in your pet's lifetime, so that they can not only benefit from the rewards of dental health, but to help desensitize them in having their mouth, gums and face handled. Our team can provide suggestions on some of the toothpastes and brushes that both we and our clients prefer. The window of time from several weeks up until about 4 months is a significant time for your new pet, especially as a puppy. This socialization period impacts him or her for the rest of their life in reactions to environmental stimuli. For kittens, this time may vary from 2-14 weeks. Why is this so important? 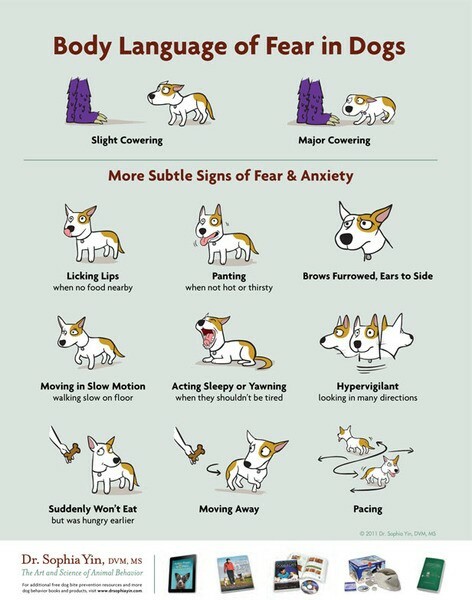 By helping pets feel calm in fearful situations or unfamiliar circumstances, you’ll not only build their confidence, but also help reduce potential for aggression, fear biting, or submissive behaviors that become difficult to manage. Seek out local obedience classes or ask our veterinarians for suggestions on how to maximize this pivotal moment in your pet’s life. Are you noticing excessive barking, destructive chewing or house training issues that seem to be lingering? These tips may help. Navigating food labels is complicated for us as humans. Trying to understand what our pets need can be even more difficult. It’s important to choose a high quality pet food that meets each stage of your pet’s changing physical and mental needs. Our veterinary team can help provide guidance on the right amount of food, the best type for your pet’s individual needs, and what your pet’s feeding schedule should look like. Important to consider - even though treats may seem tiny and harmless to you, pet obesity is a common problem, and each calorie adds up in their overall daily dietary intake. Becker, Mikkel. “Your Guide on How to Socialize a Kitten.” Vetstreet, www.vetstreet.com/our-pet-experts/your-guide-to-socializing-a-kitten. Donovan, Liz. “Puppy Socialization: Why, When, and How to Do It Right – American Kennel Club.” American Kennel Club, 4 June 2015, www.akc.org/expert-advice/training/puppy-socialization/.